The previous issues of Green Lantern have set up a number of problems for newly appointed GL Corps leader Hal Jordan to deal with, including a new batch of rookie Lanterns that seemed ill-equipped for service, a new recruit who died before anybody found out who he was and where he was from, a mysterious energy fluctuation that causes their power rings to deactivate at random and an escaped prisoner. Being a man of action and simple tastes, Hal wants to deal with the prisoner first since that seems to be a problem he can solve. As usual, things are more complicated than Hal knows and what seems to be an easy capture will prove to be anything but simple. There are two ways Green Lantern has traditionally been written in the past. One way is as a cosmic space opera, with gigantic enemies and the colossal power of the Green Lanterns emphasized. The other way is to view it as a cop drama that just happens to focus upon a police force with superpowers whose beat is the entire universe. Geoff Johns took the former view and it seems Robert Venditti is taking the later. 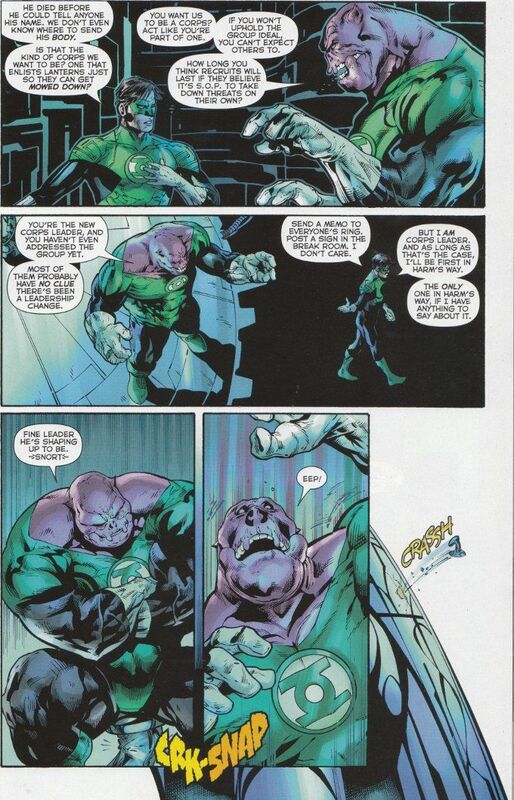 Venditti's script does a fine job of revealing the personalities of the various Lanterns casually through their conversations and there's a good balance between action, drama and humor. One can almost hear Nathan Fillion's voice reading Hal Jordan's dialogue. 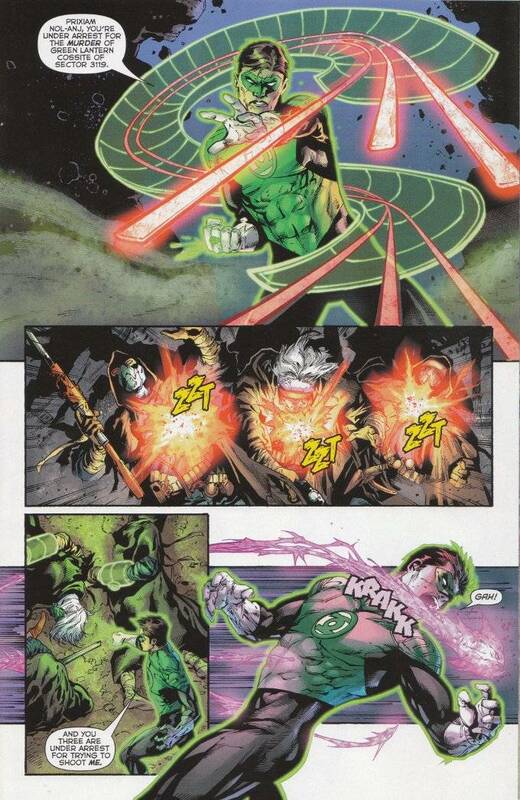 Green Lantern demands much of an artist but Billy Tan seems capable of meeting and exceeding those demands. Tan easily depicts the exotic aliens and unusual ring constructs that the story requires. Praise must also be paid to inker Rob Hunter, who does a fine job of highlighting Tan's original pencils and enhancing the mood of the story without obscuring the action in ink.